Slick has been in the pool business since 2002. He started out maintaining pools in the Tucson area with a local pool company. While in the beautiful backyards of Tucson, he was constantly bothered by the white rings he found on so many of his client's pools. He decided to take a pro-active approach and branch out to offer pool tile cleaning. Slick's Pool Tile Cleaning is an owner operated, family business, born in 2005. Since then, we have performed tile cleaning all over the Tucson, Vail, Oro Valley, Sahuarita, Green Valley, Benson and Marana. 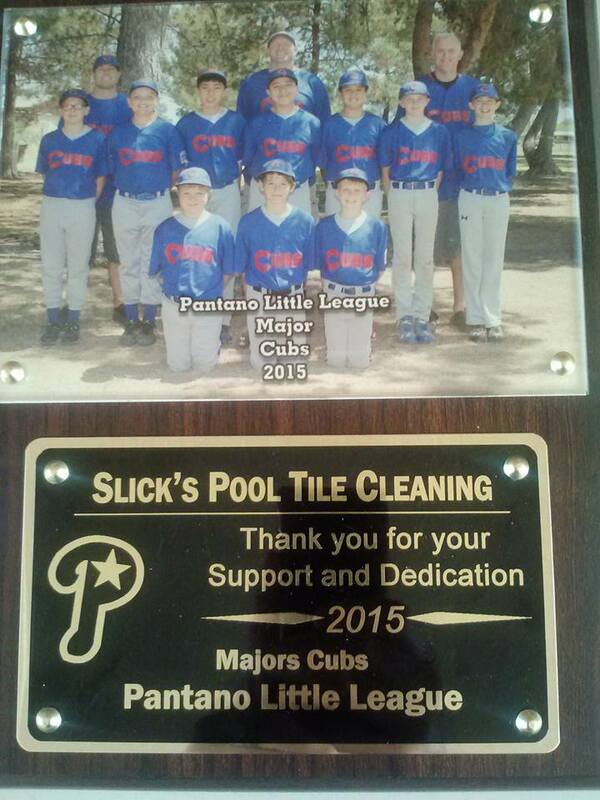 In the community, Slick proudly sponsors the Pantano Little League in the spirit of uniting our community. Great job boys and girls! We are proud of our champions! Let Slick's Pool Tile Cleaning be your Pool Tile Cleaner! Get Your Free Quote Online Today!